The Campbell Public Library offers a number of programs and events for homeschoolers including a book club, STEAM Blast, and more. Registrations is required for some of the events and programs. Visit cc-pl.org for more information. 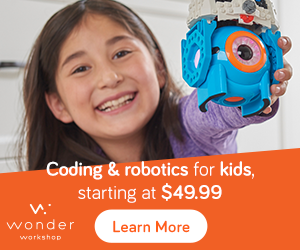 STEMtrunk is a way for homeschool families to rent educational STEM toys like LEGO Mindstorms without having to pay for something your kids will grow out of. The program was originally tested with homeschool groups and also offer hour-long STEM classes. Homeschool Connections has partner with Academy Driving School of Troy, MI to offer Driver’s Education Classes to homeschoolers. The classes are provided in two segments. After taking both segments, students will be eligible to take their driver’s test. More information is at homeschoolconnections.com.